Duane Crumb is the Founder and Director of HIVHope International. In that role, he travels around the world speaking and facilitating seminars to equip and empower people to develop their own creative strategies, materials, and programs to effectively address the issues involved in HIV in their local cultures and meet the needs of those living with the disease. Through 2015 he has facilitated 76 seminars in 23 countries on 4 continents. Duane originally became involved in HIV not by choice, but because it was his job. In 1985, he became the Press Secretary of a member of the United States Congress who assigned him the responsibility of becoming his expert on the then very new issue of HIV/AIDS so that the congressman would have the reliable source for the information he needed to write and evaluate related legislation. This led Crumb to examine HIV disease and related issues from every angle using his access to all of the information and resources of United States government. In 1987, Duane left the Congressman’s office, co-founded the American Institute for Teen AIDS Prevention, and became its Executive Director. There he developed and distributed HIV education materials primarily targeting the public schools of the United States. Soon the schools were inviting him to address their students. He presented motivational HIV prevention assembly programs in middle and high schools and other settings in 38 states and many other countries, addressing more than 800,000 students. In 2005, the organization’s focus changed from young people in North America to empowering people to become HIV educators internationally. This led to changing the name to HIVHope International to reflect the new scope and the focus of the ministry. Duane has traveled extensively sharing the insights he has gained throughout more than 30 years in HIV education. He also provides training for educators, parents, churches and a variety of other audiences. 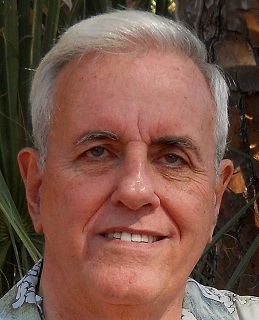 Duane and his wife Kathy have been based in Fort Myers, Florida, USA, since 2005. They have five children. One lives near them in Florida. Two others live in Austin, Texas. One lives in Ohio. Their youngest daughter also lived in Florida until she passed away from cervical cancer in September of 2012.